Our famous standard tenor is made with double holes for d' and d#', two keys for c' and c#'. It has a rich tone with a strong low range and clear, refined high range. 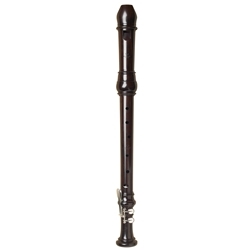 Available in grenadilla for added brilliance (and by special order in European Boxwood; please call for price and availability), this instrument is popular with players the world over.